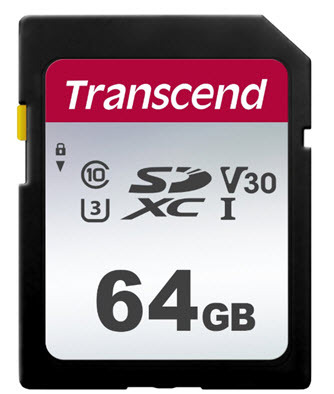 Featuring 64GB of storage space with the exFAT file system that supports files larger than 4GB, Transcends Ultimate SDXC Class 10 cards are the ideal complement to todays high-end SDXC-compatible DSLR cameras and HD camcorders. Thanks to its unprecedented amount of storage capacity, the SDXC cards enable extended HD video recording time as well as high-resolution digital photography. Fully Class 10 compliant, Transcend Ultimate SDXC cards boast read speeds up to 25 MB/s. This exceptional data transfer performance not only prevents lag when recording Full HD videos, but also enables high-speed consecutive shooting at fast-motion events. As more and more consumer electronic products are expected to support SDXC in the near future, widespread adoption of SDXC is just around the corner!